Do You have an Outie or an Innie? I have some general information on tool selection here at my website, but I’d like to focus more specifically on the adze in this post. It is probably the single most expensive tool used for this work, so it pays to choose wisely. After all, your grandchildren might be using it someday. I only know two adzes well, but they’ve taught me some things about adze design. I’ll start by showing some photos of the adze I use the majority of the time. The adze head is made by Hans Karlsson in Sweden. The Karlsson’s have a small family forge in Sweden that makes excellent tools. They are designed well, with much consideration for how they will be used. Mine was purchased years ago through Drew Langsner’s online Country Workshops store. It is marked H-161 there. As far as I can tell, it is the same one available from these suppliers based in the U.K.: Woodsmith and Woodland Craft Supplies. They have other adzes there of various sizes made by HK and other good makers. My HK adze arrived sharp and ready to go (except for the lack of a handle, but that was my choice). It has an outer bevel that is maybe declined eight to ten degrees from the line of the head. A shorter inner bevel strengthens the edge by making the total edge angle around thirty degrees. It enters the wood easily and the weight of the tool propels the edge through. The steel holds an edge under heavy blows, and sharpens easily. All I have done through many sharpening is to maintain it as it came. My other adze is a good example of how much work will be involved if you buy something poorly designed for bowl carving (even if the product description says “perfect for making bowls”). Before I had any idea what to buy, I purchased this adze made by Pfeil Swiss Made. Their carving gouges are excellent, but they missed the mark on the design of this tool. The handle is poorly designed in relation to the geometry of the head, and there is no outside bevel at all. It lacks the concentrated weight of the HK that helps propel the edge through the wood. It doesn’t arrive very sharp. In spite of all that, it will indeed remove wood from the hollow of a bowl; I carved some bowls with it. It took lots of tweaking to get it to work better. After grinding away a lot of steel (carefully avoiding overheating) and adding a new handle, I now have a nice little adze perfect for tight hollows due to a combination of three factors: a tight sweep of the edge, a tight curve along the top of the adze, and a pronounced outer bevel (now). I guess you could say it has a tighter turning radius than the HK, but the HK provides a much smoother ride. 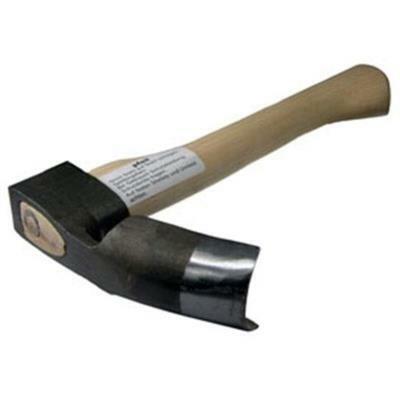 There may be some uses for which an adze with an outer bevel is undesirable. For hollowing bowls, you want some degree of outer bevel. I hope my drawing at the top offers some explanation as to why. Another way to think about it is like this: an adze is like a carving gouge on a stick. When used for carving work, gouges have outer bevels. They provide the carver with the freedom to control the course of the tool and come into, and out of, a hollow. For bowl carving, outies are the best. One last thought. If you can’t afford a good adze, but you want to start bowl carving, consider buying a gouge instead. Better to buy a good gouge than a bad adze. You’ll still need that gouge after you save enough for a good adze anyway. You can hog away wood pretty quickly with a large gouge and a mallet. I’d suggest something like a #7 sweep bent gouge (long bent) 25-35 mm wide. It might also be a good option if you don’t feel safe swinging an adze. 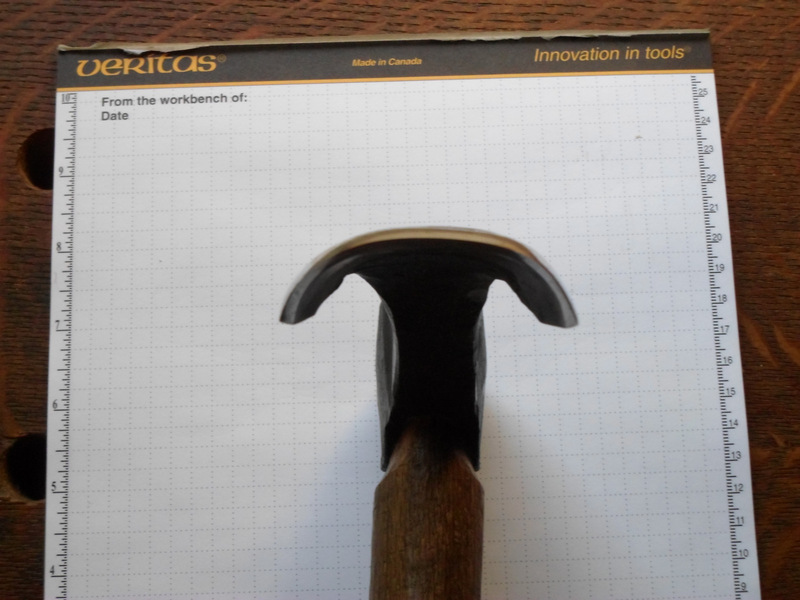 This entry was posted in adze, tools and tagged adze, bevel, gouge, tools. Bookmark the permalink. 27 Responses to Do You have an Outie or an Innie? I also have the Hans Karlsson and Pfeil, which has been reground with an outer bevel for bowl carving. I prefer the HK, but had to wait 4 or 5 months for my order for the HK to arrive so started with a pfeil. I have not put a different handle on th pfeil yet which would make a big difference. What did you use for the Pfeil handle you made? Did you find a hatchet handle and carve it to fit? For my handles, I just split out a piece of firewood and shape it with a hatchet and drawknife. As it gets smaller I can see how it feels in my hand. These handles aren’t long like axe handles, so any harder wood will do. My HK handle is oak, the Pfeil is hickory. I originally made the Pfeil handle for something else (can’t remember), then adapted it. Just make sure the handle is bone dry before final fitting to the adze head. Thank you. Great and helpful post. Great information! Thanks for posting, it really helps us who are aspiring bowl carvers. David, I am repeatedly awe-struck by the beauty of your bowls. Particularly the aesthetics of shape & proportion but also the finish and, sometimes, intricate decorative carving. The obvious point that had not struck me until I saw your sketches of the adze, above, is that you are a highly accomplished artist, as well as consummate craftsman. HK 600g 5cm: I have a smaller HK adze than David I think, mine is the 600g 5cm diameter adze (although HK now also sell a tiny adze that is even smaller). It has both an outie & innie bevel, although I tend to think of it as primarily an outie. It works brilliantly well. UPDATE: I recently broke my handy 2015 Narex adze at the (porous) weld while hollowing a bowl! 😦 Fortunately Narex were cool about it. They knew there was a problem in the original model, fixed it in their production process in 2016 – issuing both of their fixed adzes with new product numbers – and are sending me a replacement, which is due to arrive today 🙂 So hopefully I can finish hollowing my big ash bowl this weekend. BTW Re. the great adze shortage of 2015, I think it still continues. BTW I held the small Gransfors Bruks adze a few years ago. It is more expensive than the HK adzes but comes with a good leather edge guard. The head is about 800-1000g; significantly larger & heavier than my 600g HK adze. For big bowls, that mass probably helps but that is a lot of mass to hold in one hand, even if you support your wrist with the other hand. Probably not ideal for the small & lightly built. The Narex adze is of similar or greater mass than the Gransfors Bruks adze but with the longer handle makes for less strain – although I often end up using it choked up & one handed (the handle is very big near the head – so not ideal). 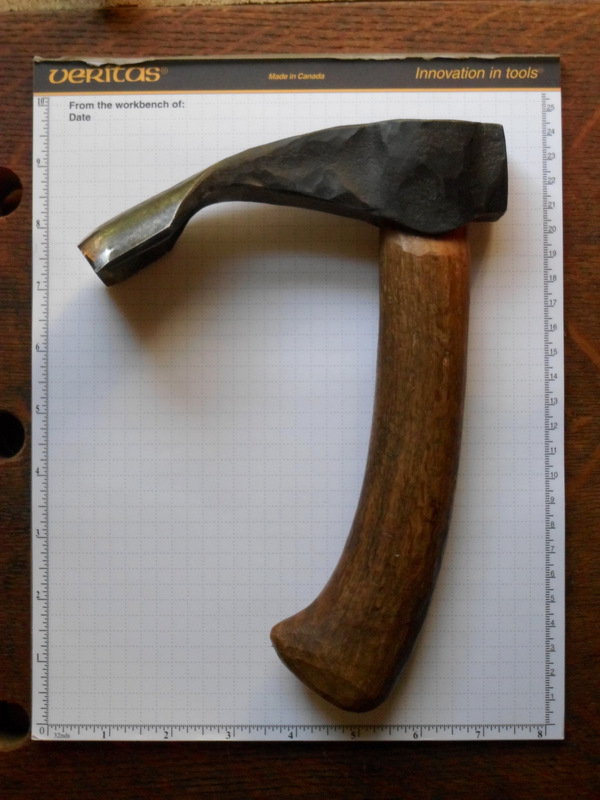 I suppose I could one day fit a short handle (as Wille Sunqvist appears to have done with his large, re-steeled, favorite adze) or shave the handle near the head. Of course, Gransfor Bruks also make (what I am sure are wonderful) large, 2 handed gutter adzes too – for 3x the price of the Narex. 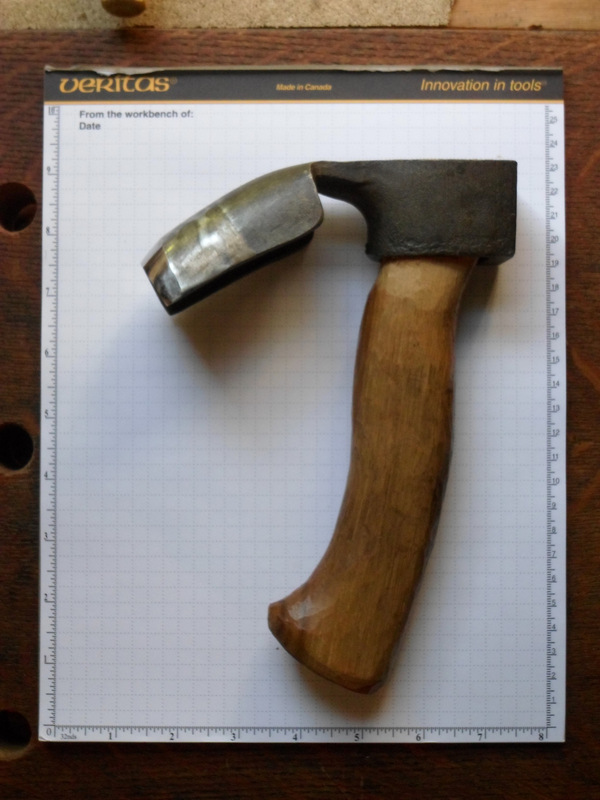 HK also make a slightly larger 2 handed adze (800g head I think) – which might be ideal for bowl making, certainly Countryworkshops in N.Carolina used to recommend it (& probably still do) over the smaller single handed adzes. With a 2-handed adze, some kind of low-bench is required/advisable. I use my chopping block with a big old tire screwed on top, Norwegian-style. But when using a 1-handed adze, I use my comfortably high Robin Wood “Bowlmate”, with opposing wedges to keep the blank secure.With either I walk around the blank and work from different positions. Thank you. I study many thing in this article about adze and sharpening. Yesterday, i look for proper adze for bowl carving. And i found adze with inner bevel! so, i thought it was strange. May be, it makes adze deeply embedded in wood. Now, i can confirm my thought through your article. I’m glad you found the article helpful. Thank you for your comment. You are welcome to use the sketch, but please just for your personal use — not for profit. That is high praise, indeed, Brian. Thank you very much. If I can even come close to Eric Sloane one day, I’ll be thrilled. I do enjoy it. Hi Dave, Thank you so much for this amazing resource. What a gift you give to the world. Could you write a blog or explain in more detail about how to handle an adze, the bevel angle in relation to the handle and pivot point? Good suggestion. I’ll plan on getting together a blog post on that sometime. Meanwhile, the general idea is to think about the pivot point around which the head will rotate and what that means for how the cutting edge will enter the wood. If you rest the cutting edge on a workbench and extend the pivot point of the handle to the edge of the workbench (with the heal of the handle extending just off the bench), the cutting edge should be directed, generally, at 90 degrees to the workbench surface. A common problem is for handles to be too long or shaped incorrectly to mesh with the geometry of the head. This often results in the outer bevel slamming into the wood when the tool is swung, thus an inefficient cut and sore wrists. brilliant, thank you, ill try that. and just to clarify, the pivot point would be where you hold the tool? Dave, long time listener, first time caller. I would be very interested in seeing a simple illustration of this thought on handles. 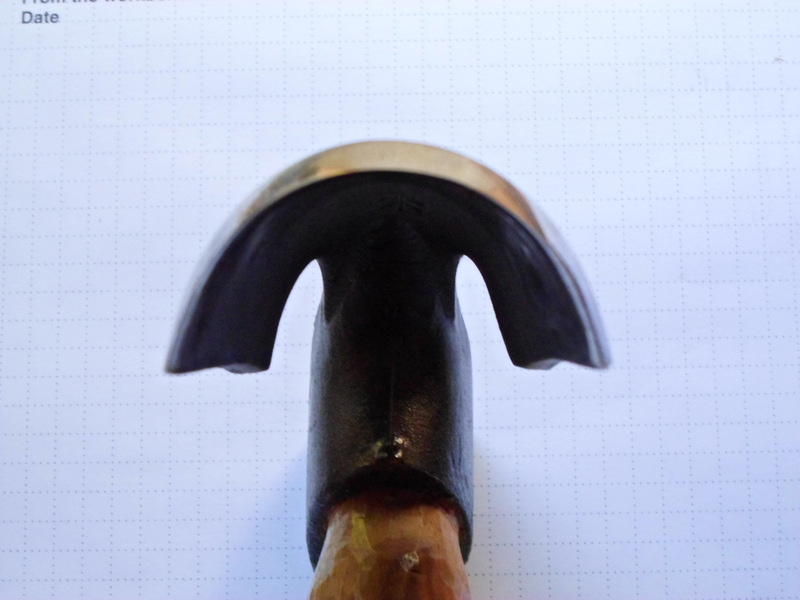 I just received a new adze head from Black Bear Forge. TJ — Here’s something to check out in the meantime: https://www.dictum.com/en/tools/woodworking-metalworking/sculpting-tools/adze It gives you the general idea. Some depends on how an individual uses a particular adze — that can make subtle changes to the location of the pivot point. I don’t want to encourage paralysis by analysis, though. There’s a fine line. Get your tools working as best as you can — but most importantly, get them WORKING. A tool doesn’t have to be absolutely perfect to do great work and enjoy it. Thank you very much for the link and the encouragement (even if I didn’t see it until now , oops). I had initially experienced the slamming effect you mentioned above but your advice and a new handle proved to be quite helpful. Thank you for all the knowledge you freely share with the community and your work is quite an inspiration for many of us. Well, in general, yes, but it depends a bit on how the particular adze is swung — or meant to be swung. In the case of my one-handed hollowing adze, the tool is flicked into the wood, pivoting off the lowest finger on the handle, so where that lowest finger sits is the pivot point. I know your Youtube-channel for quite a while now and it was always a pleasure to watch your videos. Now I am starting into green woodworking myself. I will start with spoons and maybe some kuksas, but having seen your videos, I also want to give bowls a try. Searching for tools that are not so expansive, I stumbled upon some cheaper adzes, which seemed to be great on the first view. But they are innies and now I know, why I stopped and didn’t buy them (it was just a feeling that innies may not be ideal for bowls). 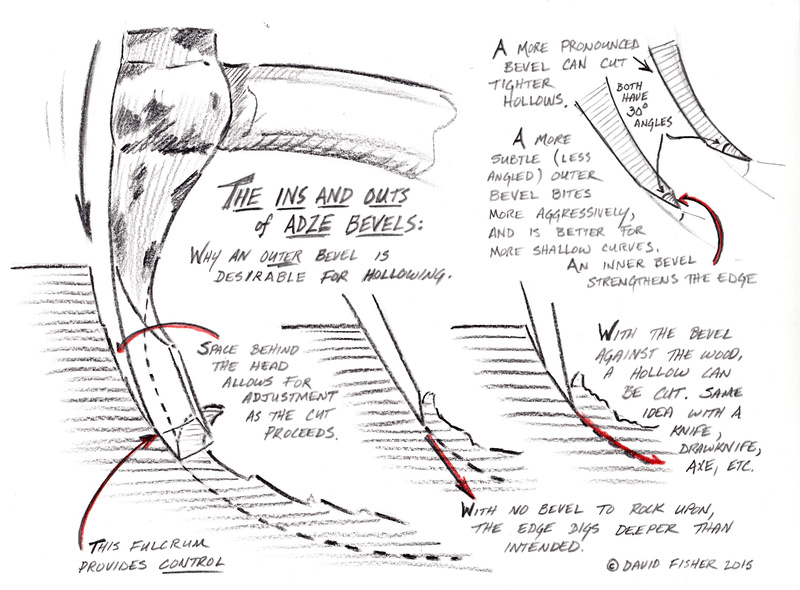 This article and your finewoodworking-video about axes and adzes helped me a lot. Thanks a lot for all your inspiring videos, for sharing your experiences and your knowledge! Thanks, Uwe! Very kind of you to say so. Glad the information was helpful. Happy carving! Innie for across the grain. Outie for with the grain. Bothie for general use.